Good morning. For those of you who spent the weekend celebrating Christmas with your families, I hope you had a very Merry Christmas! We had a wonderful week with my dad visiting. The kids had a blast playing with Papa. But I didn't get any reading or blogging done! We have more guests arriving on Wednesday night so my goal is to finish the book I'm currently reading by the time they arrive. 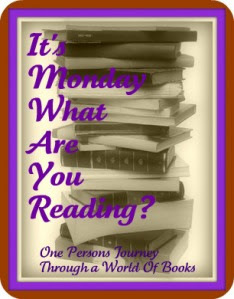 I did sign up for two challenges last week: the 2011 E-Book Reading Challenge and the I Want More Reading Challenge. I'm trying to keep my challenges simple for next year since I didn't really finish some of the challenges I joined in 2010. Speaking of that, I also wrapped up the Fall in Reading Challenge last week. I'm currently reading Blood of My Brother by James Lepore, which I'll be reviewing sometime this week. I think I'll move on to another review book next: Blue by Lou Aronica. I'm also starting to load my new Nook with books, so I'm sure I'll be starting an ebook soon! Sounds like you had a fun Christmas! I am keeping my challenges to a minimum as well this year. I am really excited about the one I am hosting for WHERE are you reading which is to try to read a book that takes place in each of the 50 states this year. I am really excited to see how I do. It counts for whatever you are reading so it should be fun and easy. I have signed up for a few challenges. I have finished all but two from last year, but it has been a challenge keeping them all straight. Sounds like Christmas was lovely and I hope you have a great week. I got a Kindle for Christmas, so I'm doing the same thing...loading with books! I just finished A Suitable Boy! I read just 2-3 books a month so you can imagine how this one slowed me down (1,488 pages).